Magformers 26-Piece Neon Magnetic Tile Set Just $17! Down From $50! PLUS FREE Shipping! Right now on Amazon, you can score this Magformers 26-Piece Neon Magnetic Tile Set for just $17, down from $50, PLUS FREE shipping! 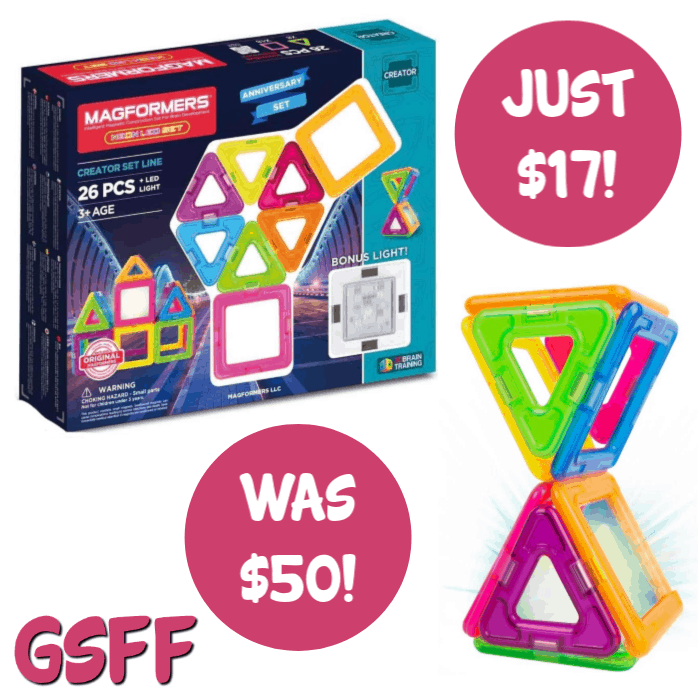 Create 3D structures with the Magformers 26-Piece Neon Magnetic Tile Set! This set includes 26 geometric shapes, 1 LED light accessory, and a Step-by-Step idea booklet to hone your child’s creativity. 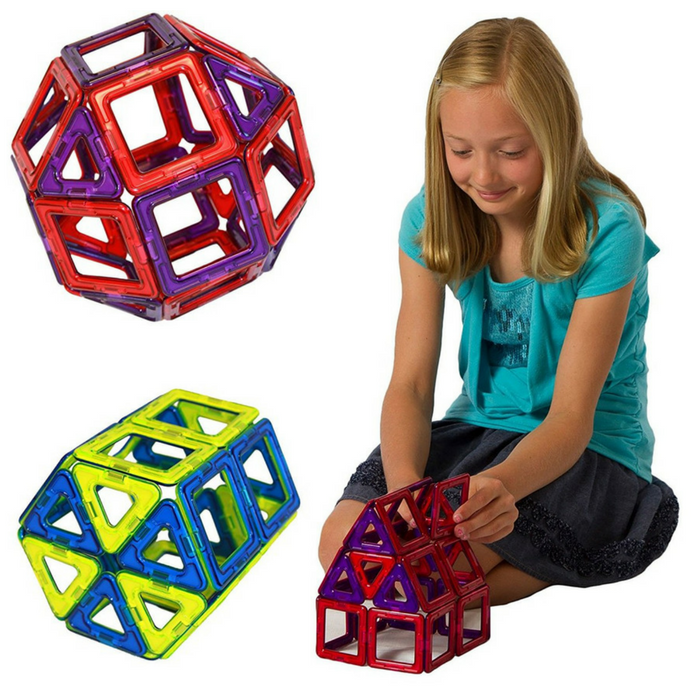 Ideal for little fingers and perfect for building a magic ball, house, tower, and much more. Once playtime is over, use the magnetic power to simply stack and store the pieces. Magformers 62-Piece Magnetic Set Just $49.99! Down From $100! PLUS FREE Shipping! Amazon has this Magformers 62-Piece Magnetic Building Set for just $49.99 down from $99.99 PLUS FREE shipping! Building structures have never been this easy! For advanced builders, the award-winning Designer set arrives with 5 geometric shapes for endless fun! Use isosceles triangles, equilateral triangles, squares, trapezoids and diamonds to construct ‘magic balls’, wheels, boats, windmills, helicopters and much more! Each geometric shape contains magnets that never reject, so you’ll always hear Magformers click. When playtime is over, use the magnetic power to simply stack and store. What will you design? 62 pieces total: 20 triangles, 22 squares, 14 isosceles triangles, 4 diamonds, 2 trapezoids. 2012 Oppenheim Toy Portfolio Winner. You can make creative models with the newly added diamond and trapezoid shapes. Magformers 30-Piece Classic Set Just $27.97! Down From $50! PLUS FREE Shipping! Magformers 30-Piece Classic Set is now offered in Amazon for only $27.97 down from $49.99 PLUS FREE shipping! The Magformers Classic 30-Piece Magnetic Construction Set is an ideal set for a beginning user at ages 3 and up. The set has 30 total pieces, which includes 12 triangles and 18 squares. These squares and triangles come in a simple color combination assortment of red/purple or yellow/blue. 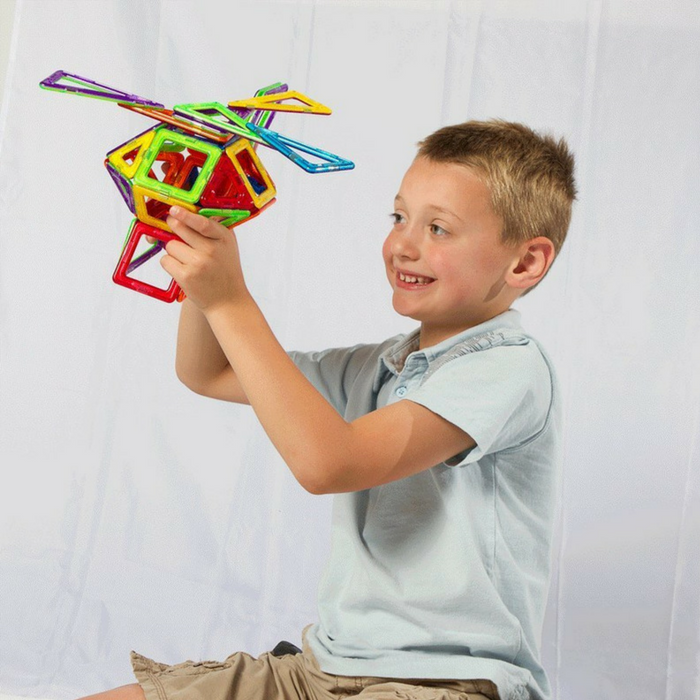 This Magformers construction set is an Oppenheim Platinum award winner. There are so many different possibilities of what can be built using this set. Your child’s creativity will be able to flourish when playing with this activity. This toy construction set can be used to build a ball, a house, a building, a star and so much more. Cubes and pyramids are another basic build favorite using the square and triangle shapes in the set. Your child will be able to come up with many different designs when playing alone, and exponentially more if you play with them. If you are looking for something to help your child’s creativity shine, this Magformers Classic 30-Piece Magnetic Construction Set is for you. Squares and triangles in classic color combination assortment of red/purple or yellow/blue. Packaging may vary. Item is tested and approved for ages 6+.